The Most Influential Supply Chain Professionals of Turkey will be elected for the first time during a gala dinner at the Suada Club on 17th September 2014. The jury of very experienced academics and experts have determined several categories in which the nominated projects of the candidates fall. 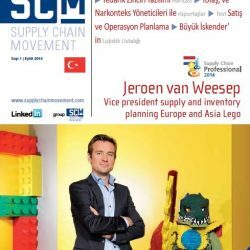 This election is a clear recognition of the value of supply chain management in Turkey. There are almost as many Lego Minifigures in the world as there are people – but that pales into insignificance compared with all the Lego bricks that have passed through children’s hands since 1957. At the start of this century the family-owned company came close to bankruptcy, but a successful transition from a productfocused to marketing-focused approach managed to turn the tide again within the space of a few years. 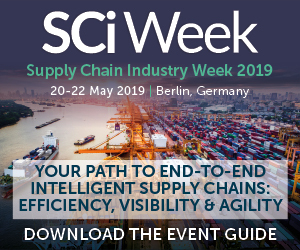 As Vice President Supply and Inventory Planning Europe and Asia, Jeroen van Weesep is helping to safeguard and sustain that transition in the supply chain. 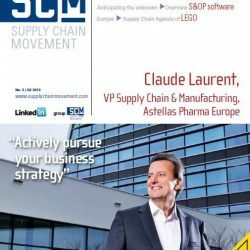 In June of this year, he was voted Supply Chain Professional 2014. The global demand for natural raw materials such as coffee, tea, cocoa and palm oil continues to grow robustly. However, all the signs indicate that the producers of such resources will be unable to meet long-term demand. 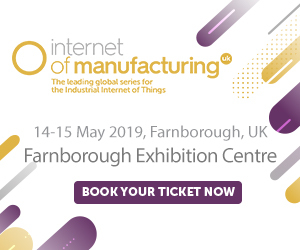 Therefore, most buyers are attempting to safeguard raw material supplies by investing in sustainability, primarily through independent certification schemes. Nevertheless, it is unclear whether they actually receive the same volumes of sustainable materials as they purchase – especially when it comes to cocoa and palm oil. 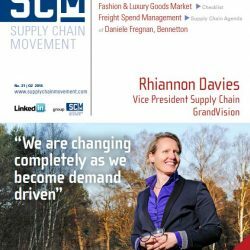 Your objective is a supply chain which is optimally aligned with market demand. Hence, sales & operations planning (S&OP) is crucial. But what does S&OP really contribute to your company’s performance? Is S&OP delivering demonstrable results? 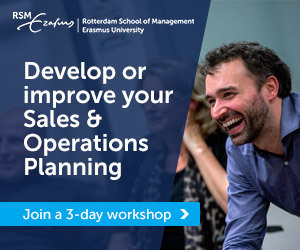 To help you discover how well your S&OP process is actually functioning, Supply Chain Movement and Involvation have developed this practical self-assessment model. As Supply Chain Director at Tofaş, Altan Aytaç has a unique perspective. He is responsible for the end-to-end supply chain at a complex automotive plant that makes multiple vehicle models on a single production line. 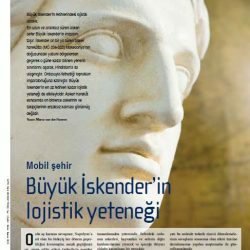 He also has responsibility for the ongoing development of the supply chain function and for building and maintaining relationships with the commercial and industrial pillars of the organisation.Furthermore, he plays a vital role in the relationship between the supply chain organisation in Bursa, Turkey and the wider Fiat Chrysler Group of which Tofaş is a part. 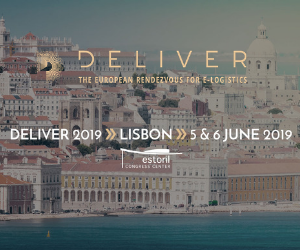 Companies are increasingly realising that transport can have a major influence, not only on customer satisfaction but also on cost patterns, flexibility and sustainability. And transport optimisation offers unique opportunities for innovation in these areas. 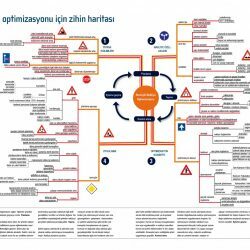 Together with Ortec, international provider of advanced planning software, Supply Chain Movement has created a mindmap to outline the route, including road signs indicating potential hazards along the way.